Last Friday the whole world, that means the global market, had an eye on China, an eye on Alibaba. 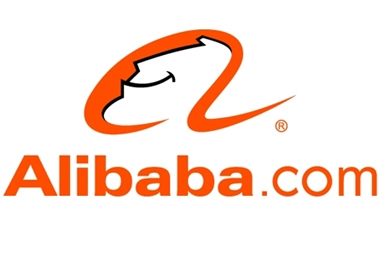 Alibaba, Chinas biggest IT-based company runs among others with Taobao the biggest virtual market-place in China. Compared to western companies Alibaba is bigger than Ebay and Amazon together, just to name one comparison. Alibaba and Taobao is not only a marketplace, it is………….. a meeting place, it is a place for communication, for developing villages in China. Developing in the perspective of economics. It is a for China typical way of living one could say. And yet so different to western business cases. Living together and following one`s own profit, one`s own career. In contrast to western platforms like Ebay, where you can sell and buy products at Alibaba you are invited to much more different offers. To me it seems that Taobao is an overall ( virtual) marketplace. It more precisely mirrors what happens in a village on a marketplace, in a village judged from the communicative perspective, can be seen as a marketplace where people meet, where people relate to each other, where people buy and sell, where people are also emotionally engaged and related to the others. This of course is quite different to western platforms and market places. They’re more or less subdivided into different sections, just like a marketplace for products like Ebay, a marketplace for relationships just like “parship” or a marketplace for pet-Lovers. Taobao in contrast to this seems to integrate all people with all their needs and all aspects of services for and / or to one another. This of course is different to western marketplaces and platforms. So I wonder how the stock exchange will react and accept this very typical business case of Alibaba. At least in China it functions very well and made the founder, the former teacher Jack Ma, the richest men in China.